Favaretto & Partners Studio, specialising in office furniture, are renowned for its innovative use of materials, style and functionality in every design. Favaretto & Partners actively supports and adheres to the principles of “Design for All”, a declaration accepted by the European Commission and promoted by the I.I.D.D. (Italian Institute Design Disability today DFA Italia). The declaration encourages disability-proof design practices which aim to make objects and environments accessible and functional to the widest possible range of users. Awarded designer, Paolo Favaretto regularly holds conferences and lectures in various international design institutes including: the “Industrial Design” course at the Milan Polytechnic and IUAV University in Venice, the Italian School of Design in Padua, the National College of Art & Design in Dublin and the University Consortium for Corporate Organisation Studies in Vicenza. 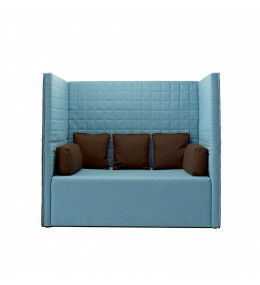 Francesco Favaretto (designer), Paolo’s son, also collaborates with his father’s studio since 2009. 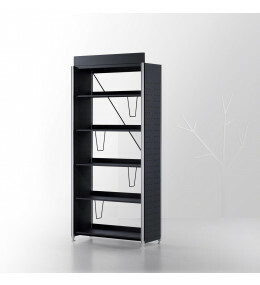 Winner of a Good Design Award in 2009, Marciana is a modular bookcase for modern libraries. 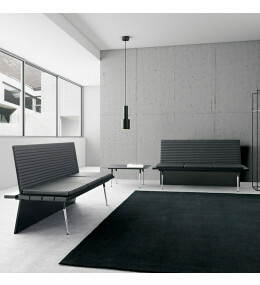 Panca Bench Seating is elegant contemporary solution. A Good Design 2011 Award winner.